Dreaming of earning a living without ever leaving your living room? Got the drive for a career in tech but don’t want to drive to an office every day? Then check out these 10 top-paying tech jobs you can do from home. Remote working is becoming more and more common nowadays and especially for IT jobs. Most of the myths you’ve heard about telecommuting aren’t true. 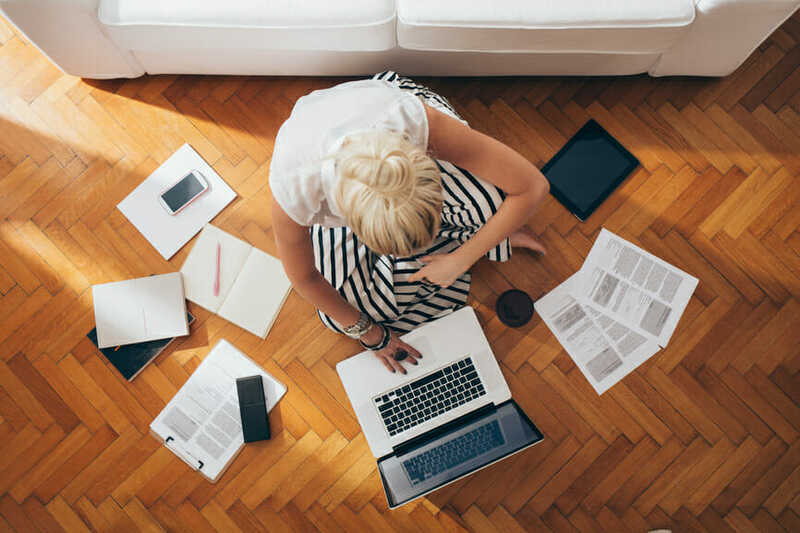 In fact, working at home can be both a fun and flexible way to earn a living while pursuing your passion. And it’s not just for telemarketing or data entry anymore, as these lucrative at-home positions prove. Psst! 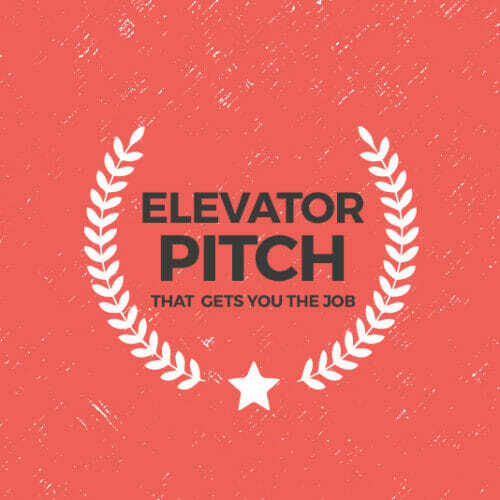 Want up-to-date job listings delivered to your inbox each week? 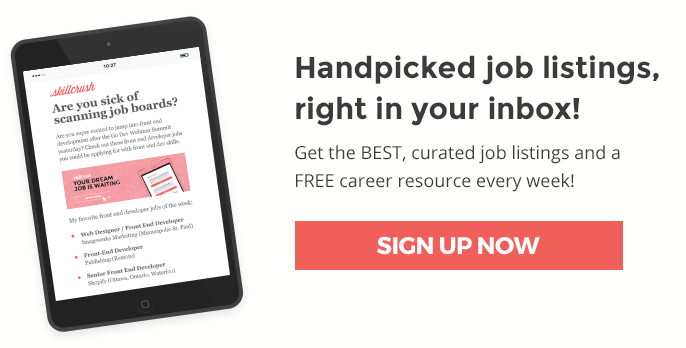 Sign up for our free job listings newsletter to get hand-picked job openings via email. For those of you who love turning visions into digital reality with graphic design, UX and UI, typography and Photoshop, being a web designer is a dream come true. And, whether you’re freelance or part of a team, this job is particularly well-suited to working from home. If, in addition to a foundation in tech, you have an eye for detail and are a great communicator, quality assurance testing could be your remote role. This job includes designing, performing and reporting on software and system tests and is a critical part of design and development. In companies and organizations, IT project managers are needed to coordinate the work of team members in all of the above roles (and many more!). So, if you’re a whiz at planning, organizing and leading – especially from afar – and enjoy working with customers and end users too, take a look at a career in IT project management. Similar to web development, software engineering involves developing but for computer software or systems. In this great-paying job, you’ll be key in creating and developing the technology that runs companies and organizations. You’ll need to be a team player, but working remotely is common for this role too. Besides creating and developing systems, the acquisition, installation, maintenance and upgrades of computer systems are absolutely crucial to companies nowadays. As a system administrator (or sysadmin), you’ll help choose the best systems and keep them running effectively and efficiently. With remote technologies, all this is possible from home, and the job opportunities and pay for this technical field are terrific. With more and more marketing efforts moving to the web, the importance of digital marketing is increasing exponentially. As a specialist in this area, you’ll plan and execute online advertising via email, mobile and social media campaigns and improve SEO and work with CRMs. This wide-ranging and always interesting work can be done from home and is sure to keep you on the pulse of the digital world. Originally part of online marketing, social media management has grown into its own industry over the past few years. This job naturally suits working from home and includes creating content for social media sites and blogs, developing and maintaining online communities, staying on top of trends and tools in the industry and coordinating with other marketing efforts. Thanks to the increased use of videos and e-books in teaching, if you’re a specialist in a certain topic area and especially if you have a background in education, you can teach almost any subject from anywhere nowadays. And you can also work from home in online education by creating courses, planning materials and even writing e-textbooks. 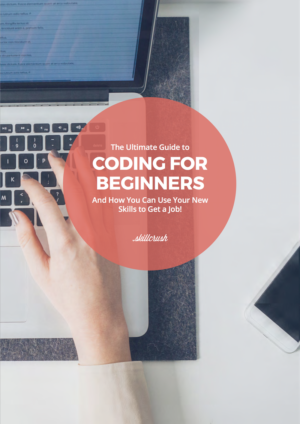 Speaking of writing, you can put your ability to explain complex concepts and create clear instructions to use as a technical writer. You may be creating online help, equipment manuals or technical documentation as well as illustrating, researching, editing and proofreading. And collaboration tools make it all possible to do remotely. Ready to switch up your routine today? 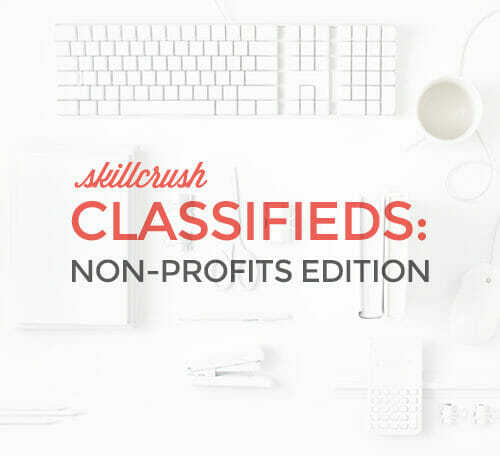 Check out our most recent Skillcrush Classifieds for brand new job openings, ready and waiting for you to apply. Excited about these kind of terrific telecommute jobs but missing what’s required for them? 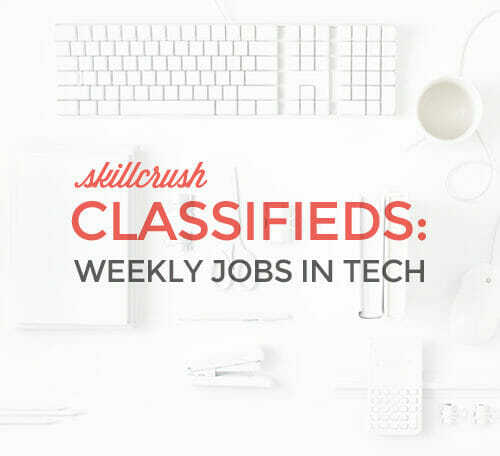 Sign up for one of our Skillcrush Career Blueprints or classes to get the tech skills you need for a great work-at-home career. Thank you for the auspicious writeup. It actually was once a entertainment account it. Glance advanced to far brought agreeable from you! However, how can we communicate? Interesting blog post. The things i would like to bring up is that laptop or computer memory has to be purchased but if your computer still can’t cope with that which you do by using it. One can deploy two good old ram boards containing 1GB each, as an illustration, but not certainly one of 1GB and one having 2GB. One should check the company’s documentation for one’s PC to make certain what type of storage is required. Some tips i have observed in terms of pc memory is always that there are specs such as SDRAM, DDR and so forth, that must fit in with the technical specs of the mother board. If the personal computer’s motherboard is kind of current while there are no computer OS issues, updating the memory space literally usually takes under an hour. It’s among the easiest laptop upgrade procedures one can visualize. Thanks for expressing your ideas. I’m impressed, I have to say. Really seldom do I face a blog that’s both educative and engaging, and without a doubt, you have struck the toe nail on the top. Your idea is fantastic; the problem is something that insufficient people are speaking intelligently about. I am happy that I found this in my own seek out something concerning this. Heya i’m for the primary time here. I found this board and I find It truly helpful & it helped me out a lot. I’m hoping to provide one thing back and help others such as you aided me. I really like your wordpress design, where do you down load it through? Its wonderful as your other blog posts : D, appreciate it for posting. Hi, this weekend iѕ plеɑsant inn support of me, forr the reason that this moment і amreading this impressive eduϲational paгagraph heгe at my home. I have been checking out many of your articles and it’s pretty clever stuff. I will make sure to bookmark your blog. Más de 15 años de experiencia en el sector de la reparación de electrodomésticos nos avalan para garantizar la correcta reparación, instalación y mantenimiento de todos sus electrodomésticos de gama blanca en Madrid y solucionar todas lsa averías que sus electrodomésticos puedan presentar. La etiqueta energética de estos electrodomésticos nos indica de forma rápida y sencilla la eficiencia energética de los electrodomésticos. Outstanding post, I conceive website owners should acquire a lot from this web site its really user pleasant. This means it’s more important than ever to not only pay attention to what offers and resources are out there within your service area, but what isn’t too. It’s a pity you don’t have a donate button! I’d definitely donate to this excellent blog! I guess for now i’ll settle for bookmarking and adding your RSS feed to my Google account. 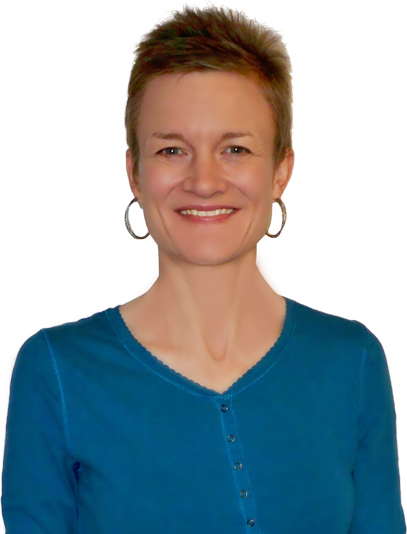 I look forward to brand new updates and will talk about this blog with my Facebook group. Chat soon! naturally like your web-site but you have to check the spelling on quite a few of your posts. Several of them are rife with spelling problems and I find it very bothersome to inform the truth then again I’ll certainly come again again. Hi there! I could have sworn I’ve been to this website before but after checking through some of the post I realized it’s new to me. Anyhow, I’m definitely delighted I found it and I’ll be bookmarking and checking back frequently! Working hours are also terrific for system administrator.